MTN’s strong performance reflects the significant opportunities for growth in the Group’s expanded footprint. 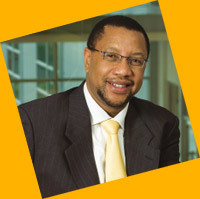 The MTN Group Limited delivered a strong performance, increasing subscribers by 53% to 61,4 million in the 12 months to 31 December 2007. This reflects the significant opportunities for growth in the Group’s expanded footprint. Subscribers in the South and East Africa region (SEA) increased by 23% to 19 million, in the West and Central Africa (WECA) region by 43% to 28 million and the Middle East and North Africa (MENA) region recorded a 186% increase to 14 million, driven by the very strong growth of MTN Irancell. Average revenue per user (ARPU) has declined marginally in most operations, consistent with increased penetration into lower segments of each market. Market potential continues to surprise on the upside and economic performance remains positive, with average GDP growth across our markets of between 4% and 6% and associated increases in disposable income. Within this high-growth context, the Group’s trading environment remains challenging given competitive pricing, an influx of new entrants into the market, and onerous and sometimes difficult regulatory environments. The Group recorded revenue growth of 42% for the period, with contributions to total revenue split 43%, 43% and 14% among the SEA, WECA and MENA regions respectively. The Group EBITDA margin increased slightly to 43,5% compared to 2006. MTN South Africa’s margin of 34,8% compares favourably to the December 2006 EBITDA margin of 33,9% and MTN Nigeria’s EBITDA was unchanged at 57%. Our expansion strategy is based on actively seeking value-creating opportunities in emerging markets. The Group typically seeks bundles of assets and material single-asset opportunities in new and existing regions. Our investment approach is rigorous, with stringent evaluation criteria. The Group supports meaningful local shareholder participation. During the year, the Group facilitated the increased shareholding of local shareholders in MTN operations in Uganda and Côte d’Ivoire to 5% and 40% respectively. The Group always seeks to hold a controlling interest in its operations wherever possible. The Group will continue to explore value-enhancing opportunities to reduce the significant concentration of earnings in Nigeria and South Africa. During the year, there was increased focus on a rapid and efficient roll out of infrastructure to ensure appropriate levels of quality and capacity to meet the high demand in our markets. This is particularly evident in countries such as Nigeria, which gathered momentum only in the second half of 2007. The infrastructure investment is focused on upgrading and expanding networks with new site builds, investment in software and hardware, the ongoing introduction of New Generation Networks as well as the roll out of 3G data services. Capital expenditure (including software) for 2007 was R15 348 billion, comprising 21% of revenue compared with 19% at 31 December 2006. While the pace and quality of network roll out remains the most significant barrier to higher growth, we are constantly exploring ways to accelerate the roll out process in all key markets. Within its existing footprint, MTN has pursued opportunities to invest in technologies, businesses and licences that will allow us to deliver, inter alia, services in data and internet protocol connectivity. This has entailed acquisitions of internet service providers, rolling out fibre infrastructure and seeking access to WiMax frequencies. Products requiring connectivity beyond mobile voice	– such as data – are becoming increasingly popular across our regions, particularly here fixed-line incumbents have not been able to deliver meaningful services to corporates. In 2007, MTN invested in XSBroadband and VGC Communications in Nigeria and acquired an internet service provider in Cameroon. MTN also established joint ventures with Standard Bank for mobile banking and Multichoice for mobile TV. The MTN Group is also pursuing these business models and technologies in countries where it does not currently have cellular operations. We have undertaken a number of initiatives to further optimise our operational performance. During the year we embarked on a standardisation excercise in line with global best practice. This has helped ensure that processes and operating platforms are streamlined across the Group to enhance efficiencies and extract regional synergies. This is expected to gain real momentum in 2008. MTN has taken significant steps to gear‑up its underlying subsidiary operations. The most significant of these was the USD2 billion fundraising in Nigeria completed in October 2007, with smaller fundraising exercises in Cameroon, Uganda and Côte d’Ivoire. Challenges with the upstreaming of cash from Ghana and Syria persist but, due to the strong flow of dividends and management fees from the other operations, Group net debt has reduced by R6,8 billion to R16,1 billion since December 2006. This has resulted in continuing deleveraging of the Group, from 1,0 x EBITDA at year-end 2006 to 0,5 x EBITDA at 31 December 2007. This is well ahead of our stated target of 0,4 x EBITDA by 31 December 2008. In February 2008, Moody’s Credit Rating Agency upgraded MTN’s national scale rating to A2.za from A3.za and affirmed the global scale issuer at Baa3. The outlook on the credit ratings was upgraded to positive from stable. MTN delivered a strong performance for the 12 months ended 31 December 2007, with both revenue and profits significantly above the prior year. Revenue grew 42% to R73,1 billion (2006: R51,6 billion), mainly driven by South Africa, which rose 15% to R28,2 billion, and Nigeria, which increased by 36% to R20,3 billion. The SEA region contributed 43% of total revenue from 52% at December 2006; WECA 43% from 41% and MENA 14% from 7% at the end of 2006. Group EBITDA increased by 42% to R31,8 billion (2006: R22,4 billion), with the EBITDA margin slightly improved to 43,5% from 43,4% last year. Excluding the impact of the high revenue share in Iran, the EBITDA margin would have been 44,3%. The Group’s total assets were 19% higher at R116 billion compared to R97 billion in 2006, driven mostly by investments in network capacity and infrastructure assets. A significant portion of the total borrowings of R34 billion (2006: R33 billion) is related to the acquisition of Investcom in July 2006. The net debt/equity ratio is 31,2% and the net debt/EBITDA cover is 0,5 times. The SEA region reported an increase of 3,7 million subscribers to 19,3 million, with MTN South Africa being the key driver of growth and profitability. 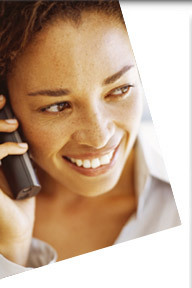 MTN South Africa increased subscribers from 12,7 million to 14,8 million while maintaining market share at 36%. Low-denomination vouchers have remained a key driver in stimulating use in the lower segments of the market. Increased focus on enhancing the quality and capacity of the network in South Africa saw 737 new base stations rolled out for both 2G and 3G. The MTN South Africa data proposition is gaining momentum with a 42% increase in data revenue to R2,8 billion for the period. MTN Uganda increased subscribers by 767 000 to 2,4 million despite strong competition and the entry of two new operators. Significant improvements in infrastructure and more optimal use of the network enhanced performance towards the end of the year. MTN Zambia was affected by a slow start to the infrastructure roll out and aggressive marketing and product campaigns by the market leader. Increased momentum in infrastructure roll out and revised pricing plans will support improved performance. Economic indicators in the SEA region are generally positive. The operations in the region are focused on meeting the needs of a converging market, regulatory developments, and increased competition. Infrastructure roll out in the region remains a priority and, accordingly, MTN South Africa will pursue a self-provisioning transmission strategy to improve the capacity and quality of mobile transmission and effectively manage margins. The WECA region now provides the highest absolute EBITDA contribution to the Group and revenue levels similar to the SEA region. Subscribers increased from 19,6 million to approximately 28 million in increasingly competitive markets. The year was characterised by accelerated network roll out to address capacity and quality constraints, particularly in Nigeria and Ghana. Nigeria remains the major contributor in the WECA region, increasing subscribers by over 4 million to 16,5 million. Ghana and Côte d’Ivoire delivered strong performances, growing the number of subscribers by1,4 million and 1,1 million respectively. Cameroon increased subscribers by 776 000 to 2,6 million, despite the impact of the numbering change plan in the first half of the year. Benin recovered well and ended the year with positive growth following the suspension of the network on the orders of the regulator between July 2007 and September 2007. Given the continued strong growth expected across the region, additional investment in infrastructure will be required to meet demand and improve network quality. The regulatory environment remains challenging and we will continue to focus on building constructive relationships with the relevant authorities. The MENA region is the fastest-growing contributor of subscribers to the Group, recording impressive growth of over 9 million to 14,03 million subscribers at year-end. This was underpinned by the start-up nature of many of these operations and highly responsive markets. During the year the key focus was on rolling out infrastructure to improve quality and capacity of the networks in each market. There will be ongoing investment in infrastructure roll out, particularly in Iran and Sudan, to increase the Group’s coverage and further improve the quality of service. MENA operations were formally rebranded to MTN which helped increase brand awareness. MTN Irancell delivered strong performance as a start-up operation with net additional subscribers of 5,9 million. The stabilisation of the Iran operation is an important development for the region and, despite ongoing challenges,the progress achieved is certainly encouraging. Sudan performed well, increasing subscribers by 1,024 million, but continues to be aff ected by dual SIMs and low tariff s from competition, especially CDMA operators. MTN Syria delivered a good performance, despite a highly regulated market, due to an aggressive sales drive and expanded product portfolio. Afghanistan delivered a strong increase in subscribers of 982 000, off a low base, due to a largely untapped and responsive market. The long-term sustainability of the MTN Group is largely dependent on managing operations in dispersed geographies, with diverse regulatory obligations and operational risks. We continue to work towards standardising our business principles and practices, and aligning governance processes across all our operations. Regular engagement with all stakeholders who are directly or indirectly impacted by our operational activities, eg working closely with regulatory authorities to develop appropriate regulations. Increasing our contribution to socioeconomic development imparted through local supplier support initiatives. Embedding the MTN Group sustainability policy and management framework in all operations. The MTN Group has almost 15 000 employees across 21 operations, and our success is attributable to the depth and quality of our people. As our business grows and expands, our ability to attract, retain and develop our people will be a key determinant of success. The Group continues to invest significantly in training and skills development and is committed to a minimum target investment of approximately 5% to 6% of annual payroll. There are a number of initiatives in place, including a comprehensive learnership programme for interns as well as a strategic talent investment board to address the leadership capability and capacity needs of the organisation. Managing our people resources remains the most important priority for the Group. Employing people from the various countries in which we operate is an ongoing focus area to ensure a representative employee profile. MTN South Africa has an Empowerdex AA rating. appointed as Group executive: mergers and acquisitions. The Group’s prospects for 2008 remain positive given the solid platform for creating value in our high-growth markets for shareholders and other stakeholders. Actively seeking value-adding expansion opportunities in emerging markets with a view to diversifying our earnings beyond the concentration in Nigeria and South Africa. Ongoing infrastructure roll out to ensure appropriate levels of capacity and quality for new and existing subscribers and exploring high-growth opportunities in our existing markets. Ensuring the Group is well positioned to benefit from a rapidly converging data content and voice market. Driving efficiencies and optimising operating margins through dynamic tariffs, more efficient use of our network and streamlined processes. Constructive liaison with regulatory authorities.